In HS Design a group of proffesional designer draw the most save, fast and comfortable yatchs and boats to enjoy the real sailing. Our designs are based using the last technology advance to contribuite to the perfomance of your pleasure. Web Site Snapshot: If available, above is a snapshot of the hsdesign web site at http://www.hsdesign.com.ar as it appeared when this site was added to the directory or last verified. 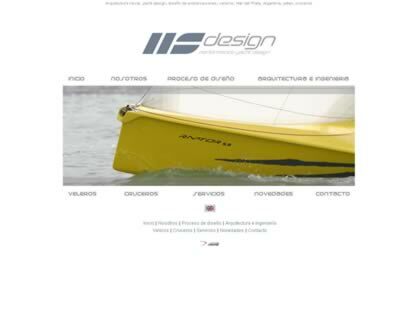 Please Note that Boat Design Net has no involvement with the above web site; all content and images depicted in the above thumbnail are the property and copyright of hsdesign unless otherwise noted on that site. Description: In HS Design a group of proffesional designer draw the most save, fast and comfortable yatchs and boats to enjoy the real sailing. Our designs are based using the last technology advance to contribuite to the perfomance of your pleasure.